Looking for a place to sell your shoes online? Selling your used shoes for cash is a great way to declutter your space and make some extra money in the process. Putting your secondhand clothes and shoes back into circulation also helps reduce waste by keeping them out of the garbage. Craigslist used to be everyone’s go-to when it came to selling use stuff online. These days, however, there’s no shortage of places to sell your secondhand or unwanted goods. That’s why we’ve curated this list of the best places to sell shoes for cash — both online and locally. Have you ever asked the question, “Where can I sell my shoes fast?” If you have, there are dozens of places to sell your old shoes online. These are some of the best we’ve found. The RealReal is a luxury consignment shop that caters to brands like Michael Kors, Gucci, Chanel, and Calvin Klein. Their team of 90+ experts works to authenticate, photograph, price, and sell your items. The amount you earn depends on how much you sell in any given month, but typical payouts range from 50-55% of your selling price. You can cash out via direct deposit or mailed check. Alternatively, you can use your earnings for site credit and earn an extra 5% each month. thredUP makes it easy to sell shoes online, along with other clothing and accessories. Order a free “Clean Out Bag” on thredUP’s website. Then send in your shoes via FedEx or USPS. thredUP will inspect your items before listing. Their site says they accept less than 40% of items in the average Clean Out Bag. Make sure your items are clean, name brand, less than 5 years old, and in excellent condition to increase your chances. If your items are in high demand, thredUP will pay you immediately after they go through processing. If your items fall into the luxury category, or if they predict your shoes will take longer to sell, then you’ll be paid on consignment (i.e. once it sells). You get to choose how to accept your payment: Visa Prepaid card, PayPal, or thredUP shopping credit. Poshmark is a free app that makes it easy to list and sell your used shoes fast. The site claims you can list items for sale in less than 30 seconds! This app focuses on fashionable clothes, shoes, and accessories. The good news: it’s a great place to sell your old Prada boots or Nike sneakers. The bad news: your non-name brand items might not do so well. To sell your shoes on Poshmark, just snap a photo, add a description, set the price, and you’re done. Once your item sells, Poshmark will send you a prepaid, pre-addressed shipping label. Package your item, then drop it off at a USPS mailbox. Alternatively, you can have your package picked up straight from your home. Of course, you will be charged a commission on the sale. Once the buyer receives your package, Poshmark will credit your account within 3 days. You can withdraw your earnings via direct deposit straight to your bank account or request a check in the mail. Like Poshmark, Tradesy focuses on authentic, designer fashion. This luxury fashion site makes it easy to sell shoes online, with an estimated listing time of 60 seconds or less. Once your item sells, Tradesy sends you a prepaid, pre-packaged shipping kit, complete with branded packaging. One of the best features of this site is that you get to keep your money even if your items are returned. Tradesy handles everything. Tradesy keeps a commission of $7.50 for items sold for less than $50 and a flat 19.8% for anything over $50. You can use your earnings on your account to fund your next Tradsey shopping spree or transfer them to PayPal, your debit card, or a checking account. If you choose to transfer your earnings, you’ll be charged an additional 2.9% transfer fee. Grailed is a specialty site with a focus on men’s shoes and clothing. To get started, set up your account and follow the instructions to connect your Grailed account to your PayPal Business account. Upload some photos and add information about your product. Your item will be listed on your seller page as well as the appropriate market section on Grailed. You’ll be notified when people ask questions or make an offer. As soon as a buyer purchases your item, you’ll receive the money straight to your PayPal business account, minus a 6% Grailed commission and PayPal fees of 2.9% (4.4% for international sales) + $0.30. You’re in charge of shipping your item and uploading the information to both PayPal and Grailed. Heroine is the same premise as Grailed, except for women. It’s a great place to sell shoes online if you have a collection of high-end and name brand women’s shoes or clothing. The selling process is the same as Grailed, including commission and fees. If you have an account with one, you can use your login credentials for that account to sign into the other site. Kixify is another free site that allows you to sell shoes online. They specialize in sneakers for both casual buyers and serious collectors. In order to sell sneakers for cash on Kixify, you’ll need to set up a free storefront. There are no setup or listing fees, but you will be charged an 8% commission once your item sells. Kixify uses PayPal to process transactions, so your earnings will go straight to your PayPal account. As the store owner, you get to set your own shipping, return, exchange, and other policies. This flexibility can be great, but it might be a little much if you want to sell sneakers for cash with as little effort as possible. If you’re looking to get rid of some designer heels, buyMYheels has a marketplace for you. This site offers a worldwide reach for selling your name brand shoes. There is no commission, but you will have to pay a listing fee of £5, which comes out to roughly $7 USD. There are strict guidelines for non-name brand shoes. So if you’re not sure about the authenticity of your items, you may be better off going with another site on this list. The interface of this site is a bit dated, but it’s still a legitimate option for selling your unwanted shoes. Mercari isn’t just an app for selling shoes. You can sell anything from clothes to electronics to kids’ toys. The best thing about Mercari is that it’s simple. There are no listing fees, and the site charges a flat commission of 10% on all items sold. In order to get started, just download the app, take a few pictures, add your description, and set a price. Buyers can “favorite” your items or share them on social media. Once your shoes sell, you have the option to choose a prepaid shipping label or ship on your own. If you choose to handle your own shipping, you’ll need to make sure the package is trackable. After your buyer receives the item, they have 3 days to submit a review so you can get paid. If they don’t submit a review within the 3 days, Mercari will give you a rating and send your payment. You can use your earnings to shop on the app or cash out via direct deposit. However, there is a $2 fee for direct deposit requests less than $10. Given its popularity and worldwide user base, eBay is a great place to sell shoes and other clothes online. One thing to take into consideration is that eBay may have higher listing and selling fees than other sites on this list. So when you set your prices, be sure to account for shipping costs and other related fees, including their commission on the items you sell. eBay’s size makes it a great option to sell shoes for money, but do keep in mind that you may sacrifice profit for convenience. In addition to online consignment shops, you might want to consider selling your shoes through local marketplaces. This can be a faster way to sell shoes online and get cash instantly rather than waiting for the funds to transfer to your account. Below are the best local places to sell shoes for cash. Letgo is an app that allows you to sell your used shoes and other items to people in your area. It’s not solely focused on fashion. So even though it’s a great place to sell shoes online, Letgo is also handy for selling all kinds of things, from technology to services and everything in between. The categories on Letgo are similar to Craigslist. Another commonality between the two is that there are no listing fees or commissions — you get to keep 100% of your earnings. And since you’re selling to people in your area, you don’t have to worry about shipping. This is another Craigslist-like app you can use to sell your shoes for cash. OfferUp isn’t specific to shoes, so you can use this app to sell other things in your home you no longer need. Buyers can message you in the app, which makes coordinating the exchange quick and easy. You can also look at a buyer’s rating to determine whether or not you want to do business with them. Similar to other apps on this list, OfferUp says it only takes 30 seconds to list an item through their app. The focus on community and ability to link your Facebook profile and vet potential buyers makes OfferUp a solid choice. If you hadn’t guessed from the name, VarageSale is like a virtual garage sale. That means you can sell your used shoes and then some. VarageSale is currently available in all 50 states in the US as well as parts of Canada. Unlike some other sites, such as Craigslist and Letgo, VarageSale vets each user manually before they buy or sell. So you’ll need to connect to your Facebook account and wait for approval. The added security measures help ensure that each user is authentic. There are no listing fees or commissions, and all sales are negotiated between the buyer and seller. Craigslist was one of the first online marketplaces for buying and selling used shoes (and other things, of course) locally, and it’s still a great option. The upside of Craigslist is that many people still use the site today. However, the downside is that they don’t offer the same vetting and security features as some of the other sites on this list. That said, it’s best to meet your buyer during the daytime in a popular public location. If you can’t find the time or don’t want to take any risks, you can also have your buyer send payment via PayPal or Venmo and ship their order. Similar to VarageSale, users on 5Miles can rate other users based on their experience. 5Miles also uses Facebook and phone verification so you can rest assured you’re dealing with real people — not scammers. The site is similar to Craigslist, but with the look and feel of Pinterest. This makes it more attractive and easier for users, but you’ll also want to include some high-quality images to attract potential buyers. The downside of this site and app combo is that it’s still relatively new, which means it might not have caught on in your area yet. If that’s the case, you’re probably better using some of the other apps on this list. When it comes to selling your shoes online, you don’t want to put all your eggs in one basket. 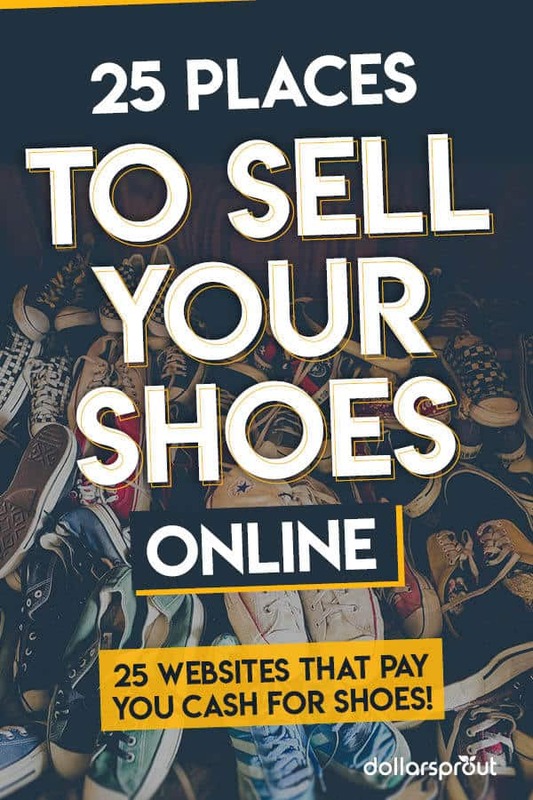 The more sites you list your shoes on, the more people will see them, the faster they’re likely to sell, and the more money you’ll make in the long run. So rather than choosing one site, experiment with a few and see where your target buyer is most likely to be. Secondly, make sure your pictures are both high quality and accurately represent the condition of your items. You don’t want to get bad reviews or have to deal with returns because your shoes didn’t live up to their profile picture. Speaking of condition, consider the one your items are in before you start looking for buyers. Take some time to clean them up and make them presentable. If no amount of cleaning can repair their current state, then you may want to consider donating them instead. And finally, be realistic about how much money you can expect to earn from your used shoes. Consider what you would pay if you were the buyer. If you price your shoes too high, it will take longer to find an interested buyer. However, you can usually adjust your pricing and experiment to find the sweet spot. 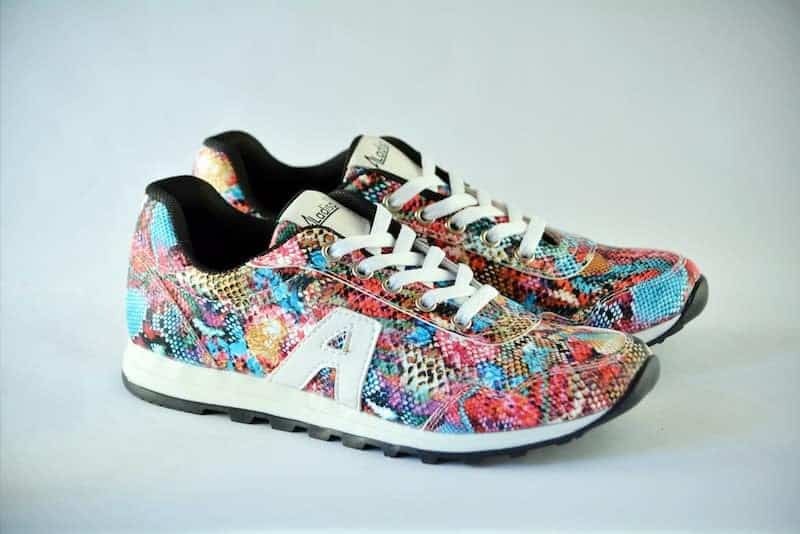 If you consider yourself a shoe enthusiast and have an eye for design, then you could potentially make extra money selling your own shoe designs online. You don’t have to be a pro or even an experienced artist. All you need is a good eye and a desire to learn. 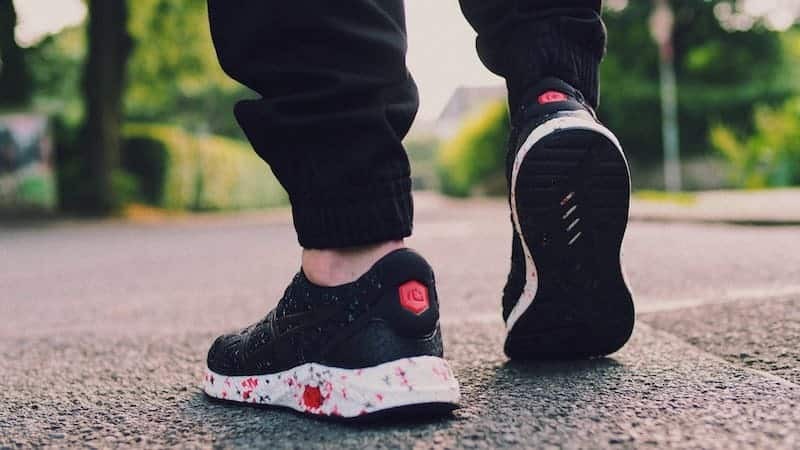 Here are the best places to start selling your own shoe designs. Etsy is known as an artisanal online marketplace where you can buy handmade or vintage items, including shoes, clothing, and accessories. This site specifically caters to people looking for unique or different clothing items rather than popular brands. Etsy reaches 33 million buyers globally, which means more exposure for the items you’re trying to sell. There’s a listing fee for each item that you put up for sale as well as a 5% transaction fee and a payment processing fee. Storenvy is a popular platform for indie clothing brands. The marketplace offers access to millions of Storenvy shoppers where customers can like (or “envy”) your products. The more envies your store receives, the more you’ll show up in search results, the trending feed, and on category pages. Shoppers who “watch” your store will receive notifications when you add new products to the marketplace. And the businesses that receive the most activity have a chance at being featured. All things considered, the Storenvy marketplace is a great tool to sell your shore designs online, especially for new businesses that don’t have a large following. There are no monthly costs or listing fees. However, Storenvy keeps 10% of what you make on marketplace sales. If you already have a business or online presence, you can create a custom store, separate from the marketplace, to match your existing brand. Storenvy even lets you connect your own domain name to your custom store. You can offer 500 products for free, track and manage your inventory, accept payments, and offer discount codes. Plus, you get to keep 100% of what you earn with your custom store. The custom store is best for existing businesses that want to move into the online retail space. Joining Zazzle is free and easy. As a designer, Zazzle handles all printing and shipping for you. Some of the items you can sell include custom shoes, T-shirts, kids’ clothing, and tote bags. To get started, create a Zazzle account, upload your designs, and choose the products you want to sell. You still have to do the work of resizing and perfecting your design. However, you get to set your own pricing. Zazzle chooses the base rate for each product and you set your own commission anywhere between 5% and 99% to determine the retail price. As you can see, there are tons of places to sell your shoes and other used goods online. In order to get the best possible price, you’ll want to list your stuff on several apps or websites. The more buyers interested in your shoes, the better price you can land. Which sites have you tried to sell your shoes online? Let us know your favorite in the comments!